Soft, supple, texture of cotton, dense, profuse. 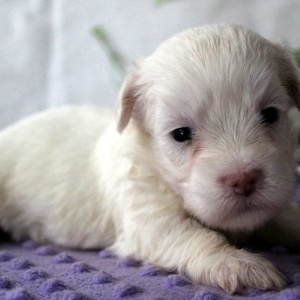 Cotons are best known for their fluffy, cotton-like white coats and large, pronounced eyes. 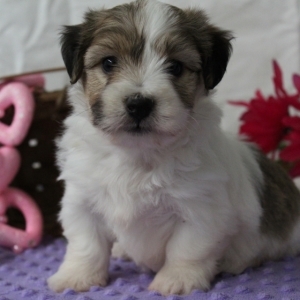 They are very adaptable dogs, have low exercise requirements, and are excellent with children and other pets. 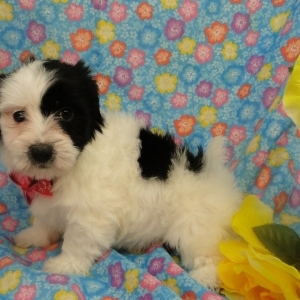 Cotons de Tulear love to be part of the family, thrive on attention, and excel as therapy dogs. Originally from the island of Madagascar, these companion dogs are still fairly rare in the United States, but are gaining popularity steadily due to their lovable, happy personalities. 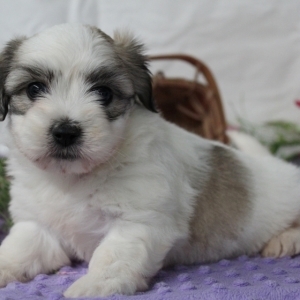 Because of its desire to please, the Coton excels in activities such as obedience and agility. 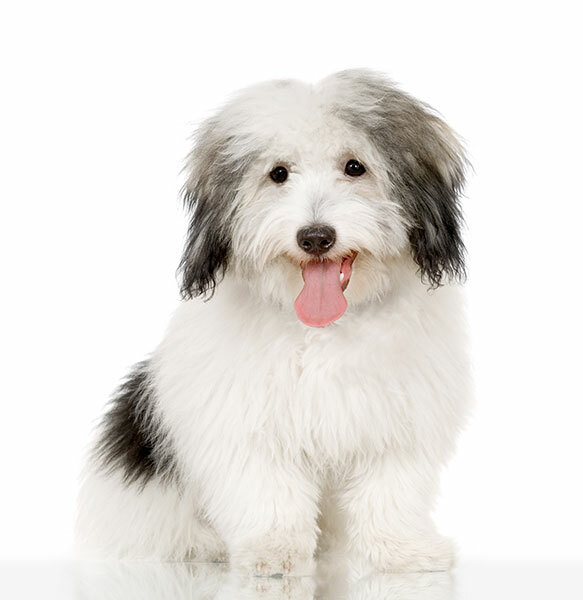 The Coton de Tulear originated in Madagascar in the 17th century.